Preheat oven to 350° F. Line a 9 x 5-inch loaf pan with slightly overlapping pieces of bacon. In a medium-sized bowl, mash together beef, onions, bell pepper, garlic, Worcestershire sauce, eggs, oats, salt and pepper. 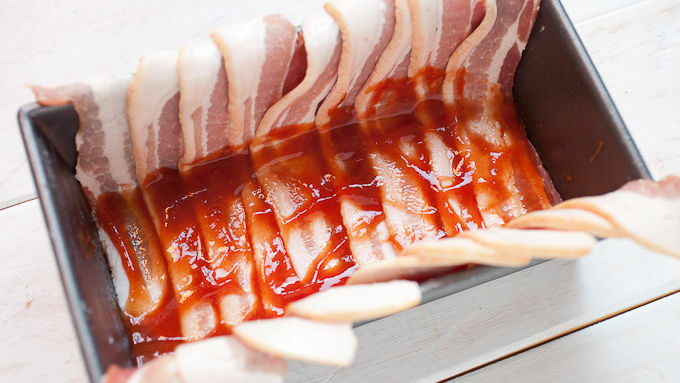 Spread 2 tablespoons of glaze over the bacon in the loaf pan. Then press the meatloaf mixture into the pan. 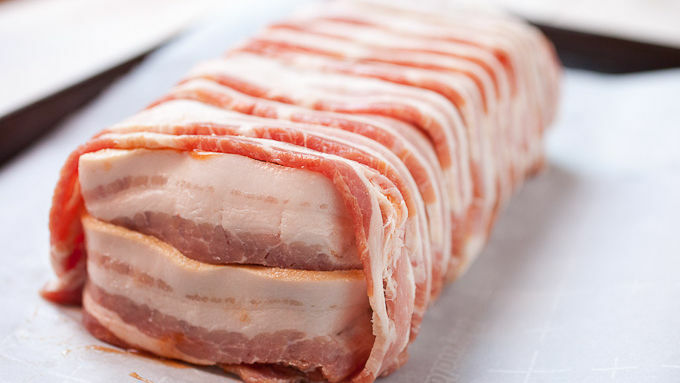 Fold any overhanging bacon over the top of the loaf pan. Flip the loaf pan onto a baking sheet lined with foil or parchment paper. 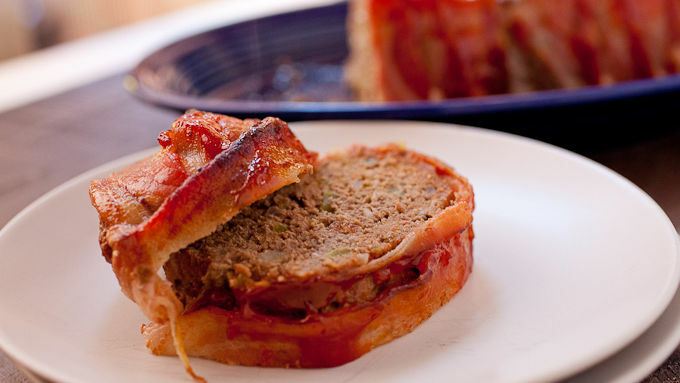 Carefully wrap the ends of the meatloaf with bacon as well, tucking the strips into the other pieces of bacon so it’s tight. Bake meatloaf at 350° F for 50 minutes. 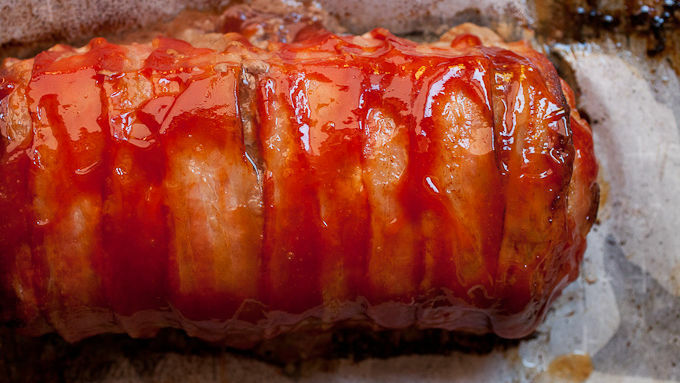 Remove meatloaf, brush with ketchup glaze and return to oven for another 15-20 minutes. Finished meatloaf should have crispy bacon edges and reach an internal temperature of 165° F in the center of the meatloaf. 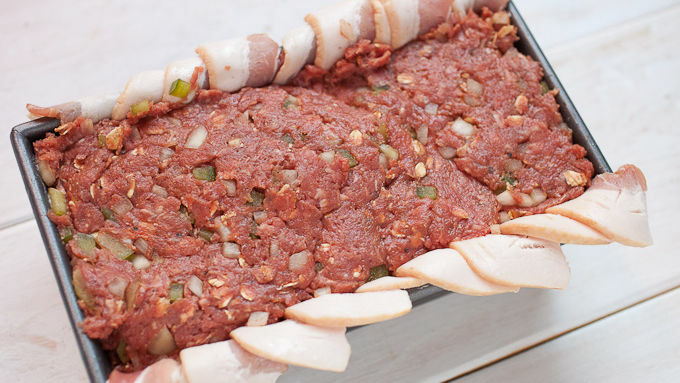 Let meatloaf rest for 10 minutes before slicing and serving. 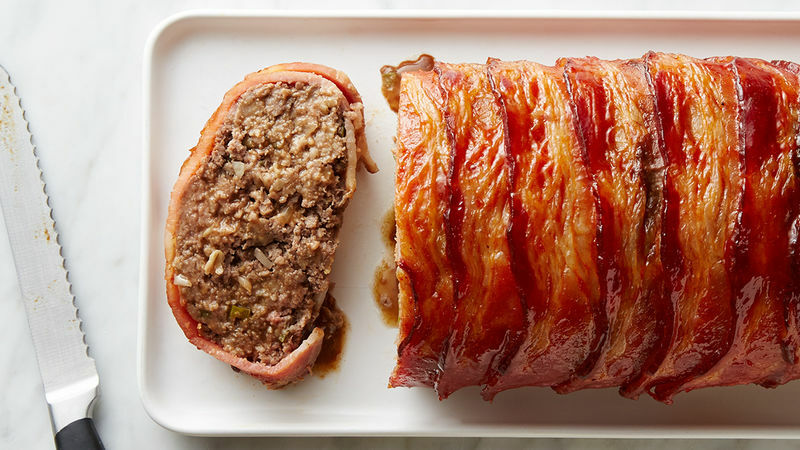 Take your dinner to the next bacon-wrapped level with delicious homemade meatloaf, wrapped in bacon and a ketchup glaze! Many of us have memories of meatloaf as a kid and, at least for me, these memories aren’t the best. Meatloaf was this blank, dry thing that I would just drench in ketchup. But it doesn’t have to be that way! 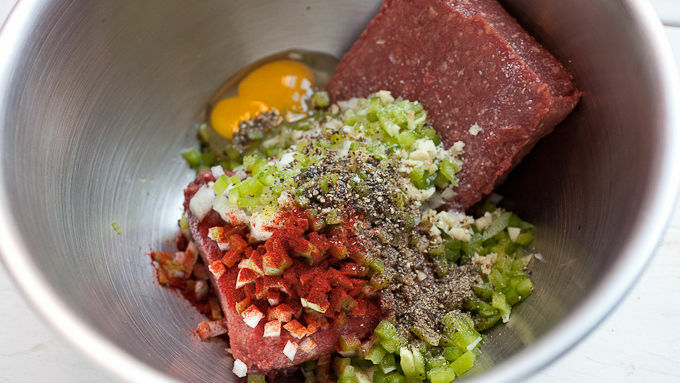 There are some really great ways to make a great meatloaf and keep it juicy and wonderful. My new favorite method is to wrap the whole thing in bacon. This looks stunning but is actually pretty easy to execute. You can make it happen!